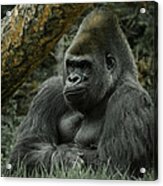 Queen duvet cover (88" x 88") featuring the image "The Gorilla 3" by Ernie Echols. Our soft microfiber duvet covers are hand sewn and include a hidden zipper for easy washing and assembly. Your selected image is printed on the top surface with a soft white surface underneath. All duvet covers are machine washable with cold water and a mild detergent. 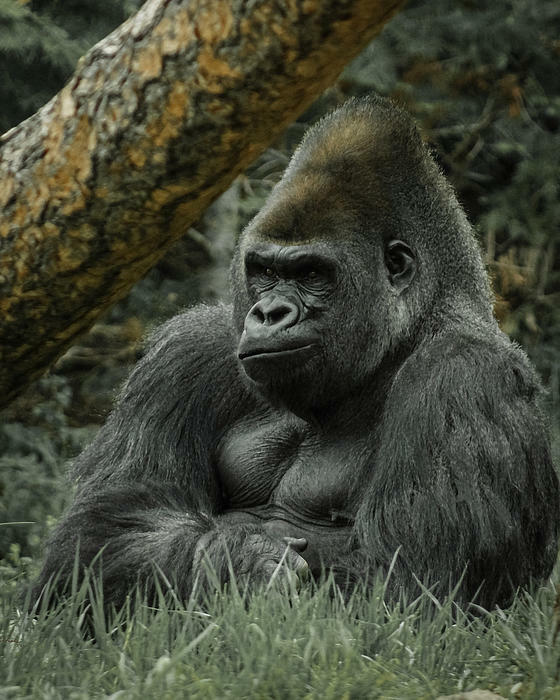 Nice composition with the tree trunks accentuating the shape of this big guy's head and posture. Love the turned up mouth, as if he's saying "Hymph!" about having his picture taken. Great shot Ernie... I love the expression on his face and the way have the shot framed is just perfection. Beautiful work!! Great capture Ernie. 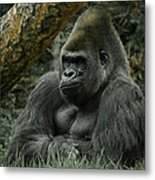 I love how you framed the shot with the trees and grass as well as the expression on the gorilla's face. What IS he thinking about? Love it. 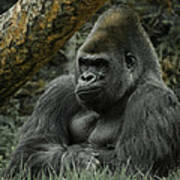 Another wonderful shot of this great animal! I like the way you have used the trees for a frame. Wonderful shot! Love the crossed arms. Dry Brushed photo of a Gorilla.